Size: The largest specimen recorded from Arabian waters has a disk width of 150 cm and a total length of 320 cm. In inshore areas, it is commonly found off sandy beaches and in lagoons, but also occurs near coral assemblages. Offshore, it occurs down to 50 m depth. The Reticulated Whipray feeds on small fishes, bivalves, crabs, shrimps, worms and jellyfishes. It is ovoviviparous, producing young by means of eggs which hatch inside the parent’s body. During the summer months it bears three to five pups. The tail spines may inflict painful wounds. 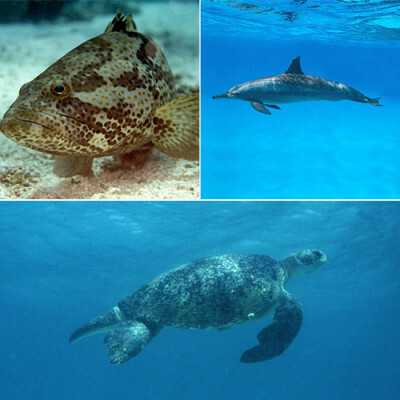 The species is widely distributed throughout the tropical Indo-Pacific from the Red Sea to southern Africa and to French Polynesia, north to Taiwan, and south to Australia. According to the IUCN Red List, it is Vulnerable (VU). It is occasionally caught as bycatch, but of very minor commercial importance. In adults the disc is rhomboidal, with narrowly rounded lateral corners, the margins are nearly straight, and the tip of the snout is pointed, while in juveniles anterior margins of the disc are concave, with strongly convex posterior margins. 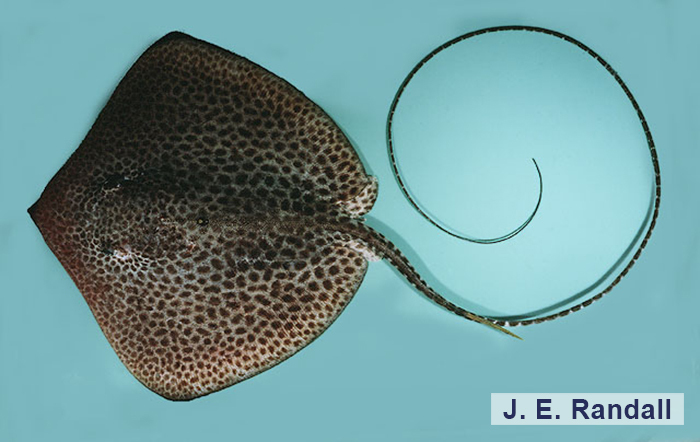 This species is easily recognized by a conspicuous pattern of dark spots on a light brown disc. The spots are well-spaced in juveniles, but crowded to form reticulated pattern in adults. The ventral surface is white, and the tail is has black and white bands.